The out writer and producer capitalized on her history-making Emmy win to launch numerous other projects focusing on the black experience. 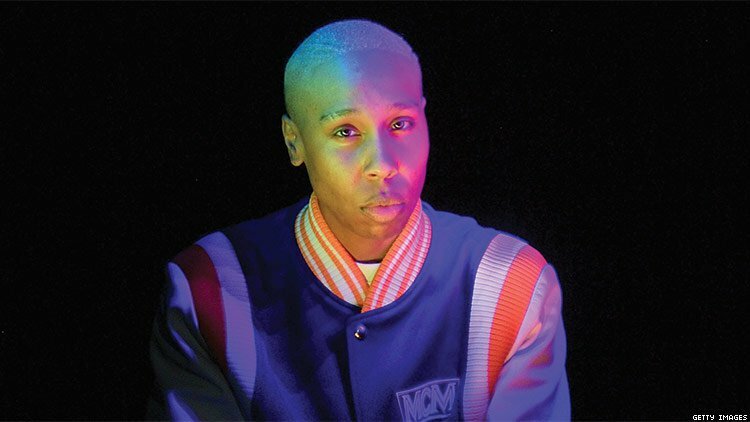 Lena Waithe made history at the 2017 Emmy Awards by becoming the first black woman ever to win in the category of writing for a comedy series, with Master of None. Waithe, 34, who played Denise in the Netflix series, cowrote the “Thanksgiving” episode with cocreator Aziz Ansari. Her recognition also marked the first time a black woman was nominated for a comedy writing Emmy. In The Chi, the new series Waithe created for Showtime, the out lesbian and Chicago native focuses on the nuances of black life by pulling inspiration from her hometown. She’s currently developing a semi-autobiographical TBS pilot, Twenties, a story about a black queer woman and her two straight best friends working to make their dreams come true. Laithe is also cocreator of BET’s Boomerang, an adaption of the 1992 comedy starring Halle Berry, Eddie Murphy, and Robin Givens. Berry is set to star in the 10-episode series that follows the children of the film’s main characters. The show will debut on January 26 on Sundance ahead of its premiere on February 12. Recently named one of The Hollywood Reporter’s 2018 Women in Entertainment Power 100, Waithe recognizes the continued need for diversity, particularly for female writers and black people. Together with Nkechi Okoro Carroll and Erika L. Johnson, she cofounded Black Women Who Brunch, a network of black female TV writers. Earlier this winter, Waithe produced “Oh Say Can You See,” her first art exhibit, with 29Rooms — an art exhibition organized by Refinery29, a media company catering to young women. “Oh Say” examines moments in American history when the black community or individual black heroes protested — through activism, or art, or academic and business excellence — the persecution and disenfranchisement that they faced. Another of the self-professed sneakerhead’s projects is You Ain’t Got These, an unscripted series she developed for the new video streaming service Quibi, which will explore the sneaker subculture through its relationships with race, gender, class, and the economy. The mogul-on-the-rise gives her thoughts on managing all the moving pieces seemingly effortlessly.